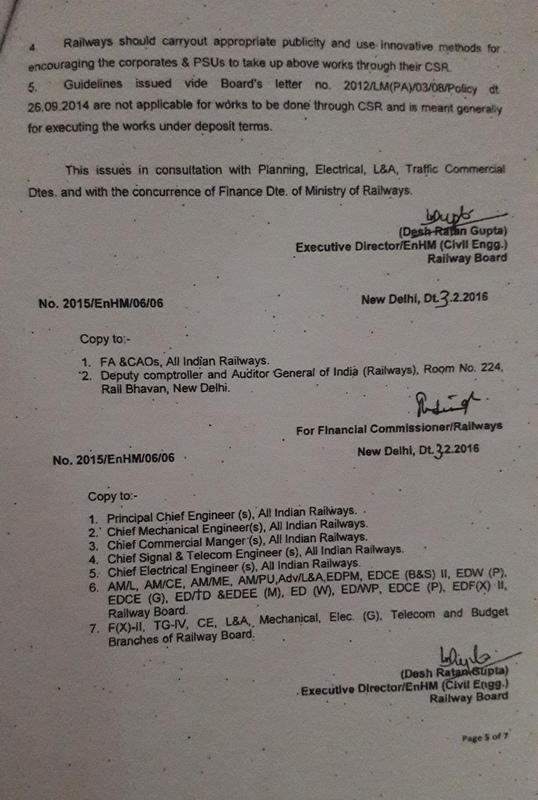 As per Railway Board’s letter No. 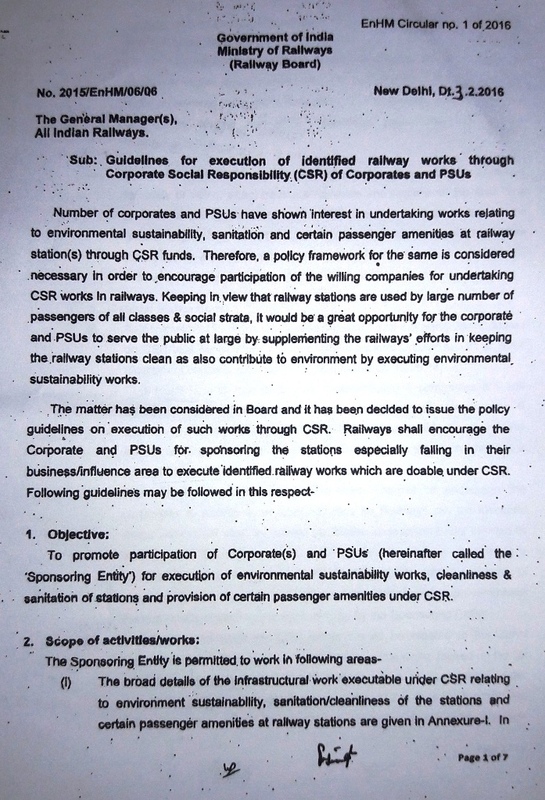 2015/EnHM/06/06 dated 03.02.2016, which is appended, now PSUs & Corporate can undertake various works in Railway through their CSR fund. 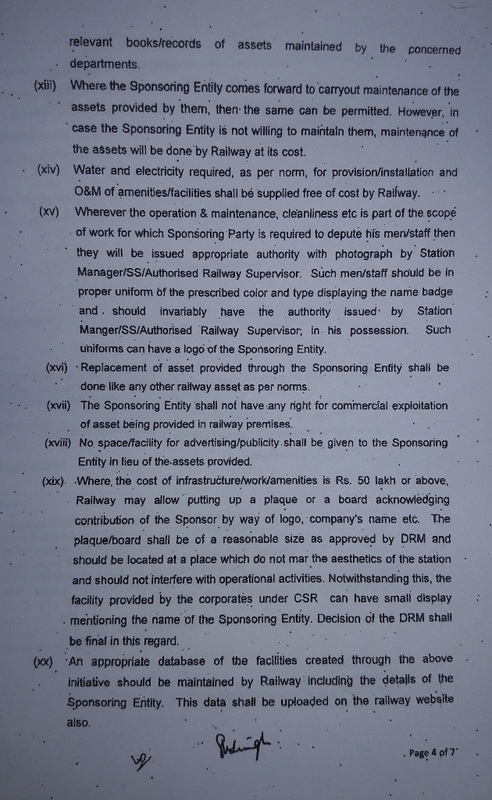 Asansol Division of Eastern Railway has identified few works that can be taken up through Corporate Social Responsibility (CSR) fund of Corporates & PSUs. A list of such works along with abstract estimated cost is given below. However, the list is not sacrosanct and PSUs/Corporates may also undertake works other than those in list. 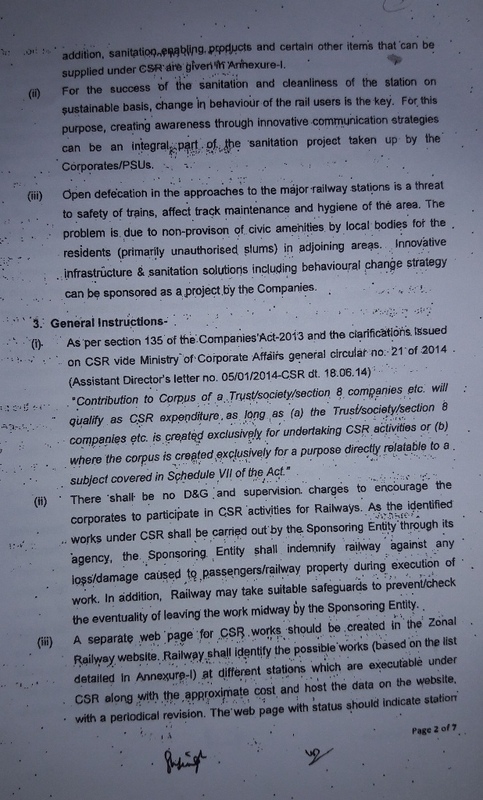 The nature of works and modus operandi for execution of such works is also given in Railway Board’s letter. 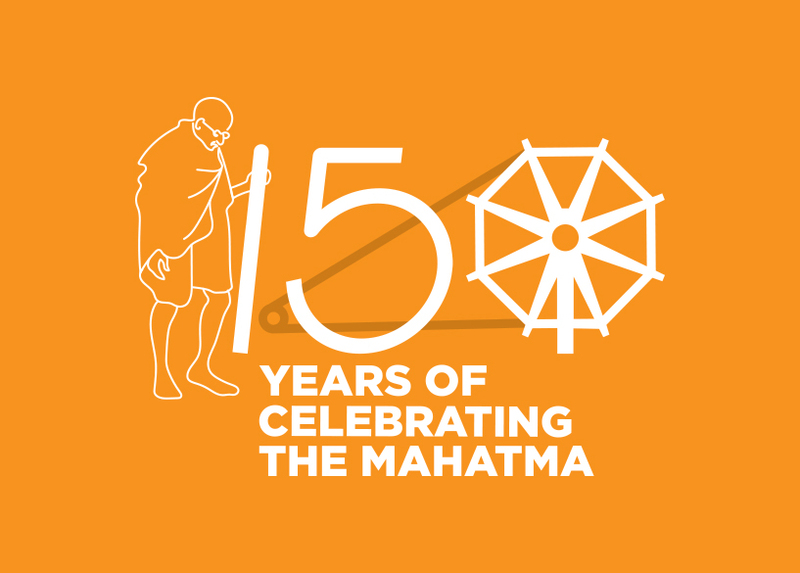 PSUs/Corporates are requested to please come forward and undertake works from their CSR funds. Undersigned may be contacted for further information. Rain water harvesting in Divisional Medical Hospital, Asansol. Rain water harvesting in RPF Integrated Building and cash office at North side of Asansol Station. Provision of Standalone Solar PV module at non-interlocked engineering level crossings where local/AT supply is not available: 12 locations as per Annexure-II. Replacement of existing light fittings with energy efficient LED light fittings at station platforms, circulating area and high masts for energy conservation at following stations. Construction of Urinal Block in circulating area at following stations. 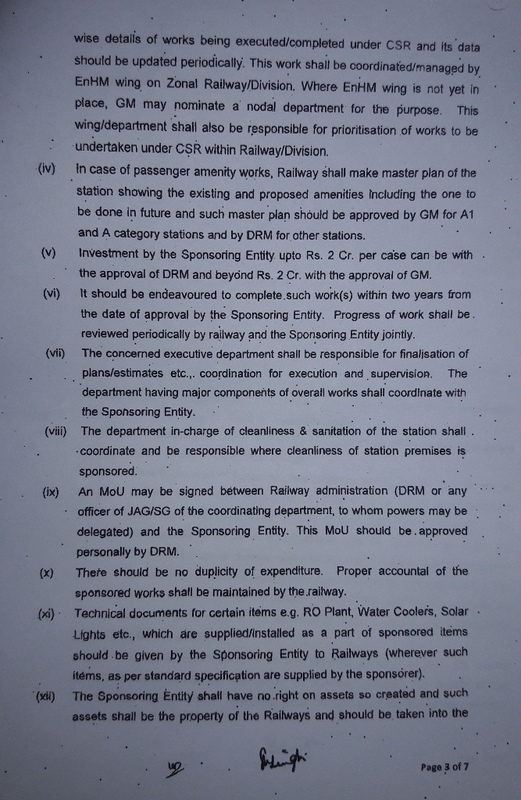 ** Scope of item No 8 & 9 can be reduced as per willingness of cost being offered by sponsoring Corporates/PSUs and acceptability of Railways.